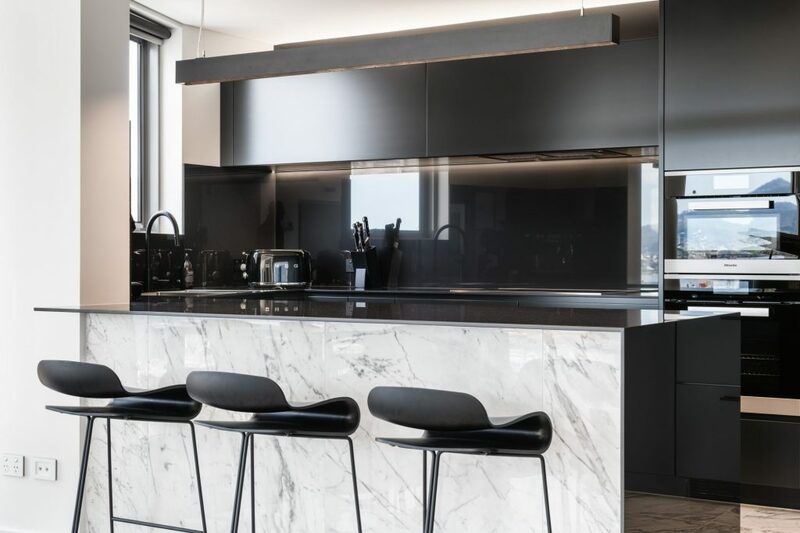 The brief was for a luxe interior that speaks to its inner-city penthouse location. 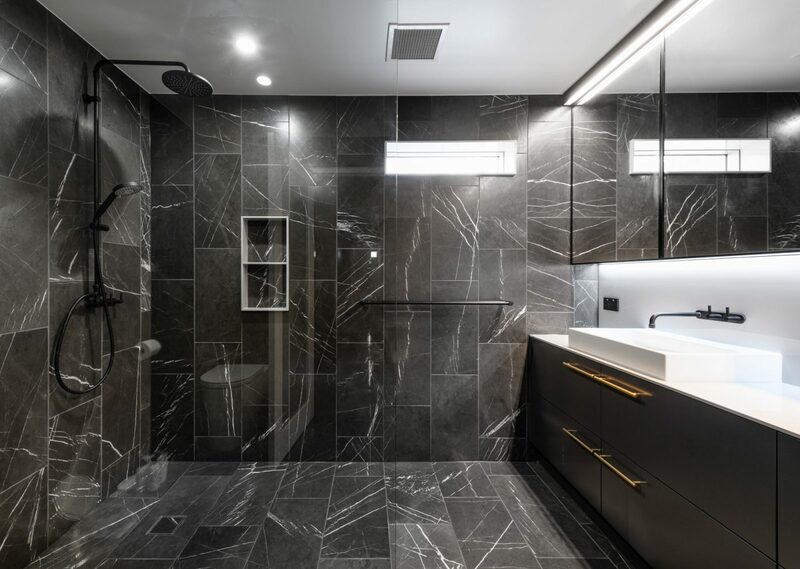 Glamorous impact was achieved through strong linear lines on 2-pack flush cabinet panels, continuous marble look tiles on the floor extending up the back of the peninsula bench, and the extensive use of 12mm high gloss Dekton. 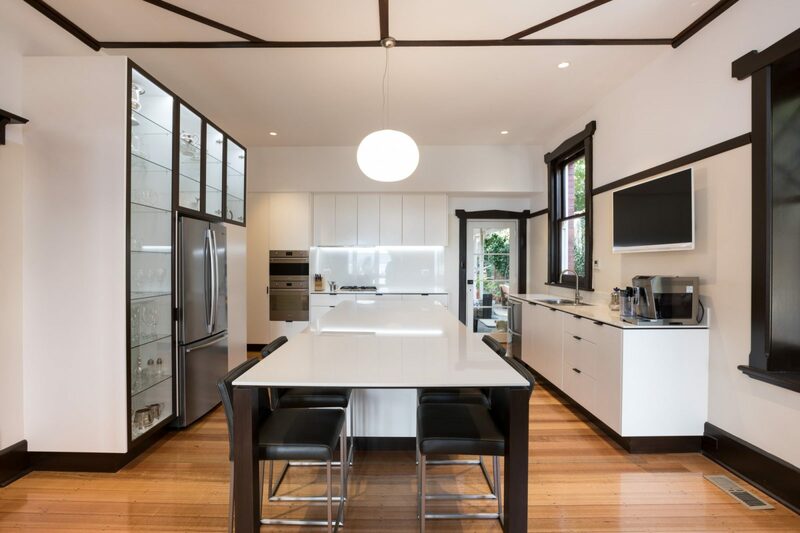 Dekton is featured on the benchtops and waterfall end, on the underside of overhead cabinets, and the splashback that continues above the overhead cabinets to the ceiling for a seamless finish. 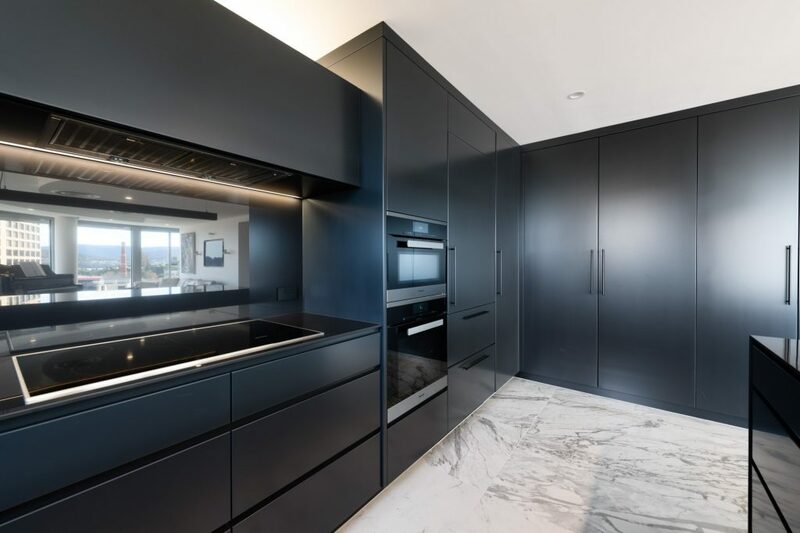 Integrated appliances, Billi tap, wine fridge, LED strip lighting at the kicker and for down-lighting and up-lighting at overhead cabinets, automatic pantry lighting, and functional storage and flow enhance the luxury penthouse theme. 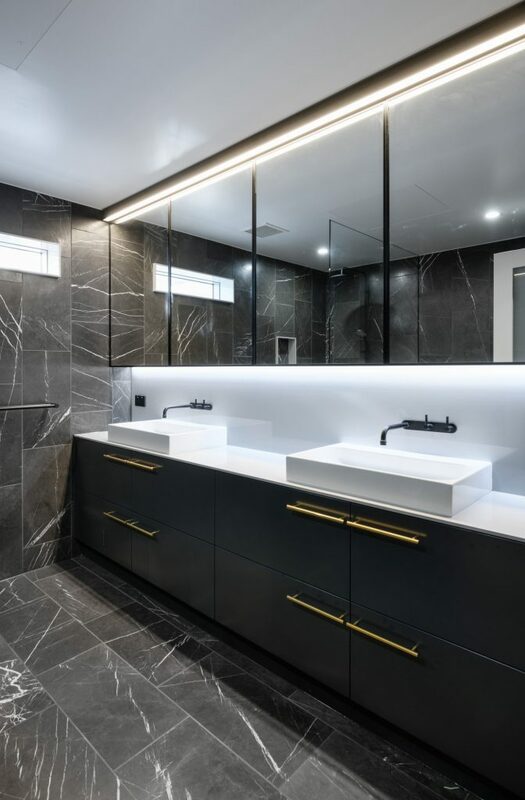 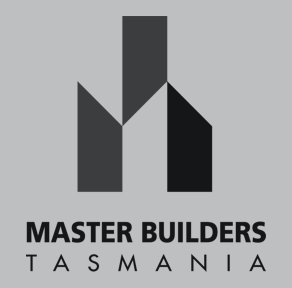 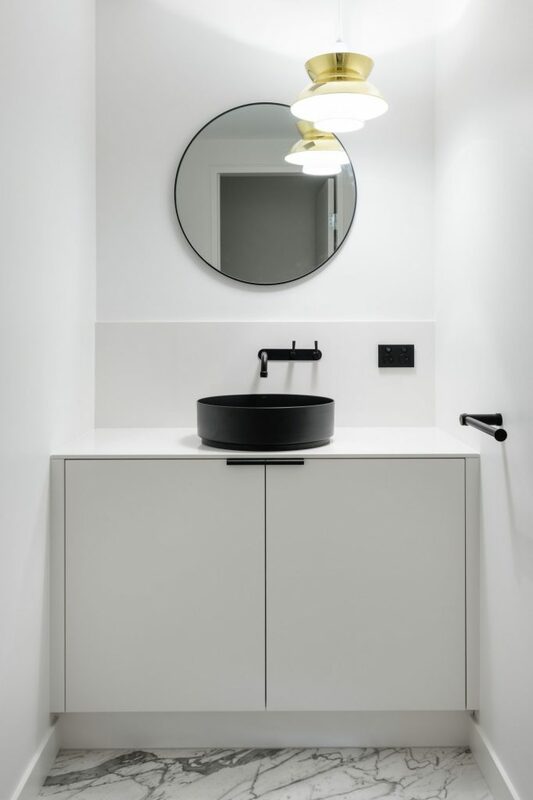 Custom made vanity units and mirror cabinets allow for glamorous, refined style and quality finishes to continue into the bathroom, ensuite and powder room.